Highly effective self-adhesive label and sticker remover. 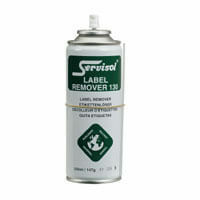 Quickly neutralises the adhesion binding of labels to facilitate clean and easy removal. Suitable for use on non-absorbent surfaces. 200ml.